Discussion in 'Disney Pin Discussion' started by Disneychildwithin, Apr 10, 2018. If you've considered buying this set this might be a good time. It's still $120... which is $6+tax/pin. starry_solo, bookhugger and Disneychildwithin like this. Haha, I just need someone else to join me on the dark side. starry_solo, TheMickeyMouseRules, watzshakinbacon and 1 other person like this. That's a lot of different Stormtrooper helmets! Do all of these appear in the Star Wars films/series? I only recognize a handful of these. 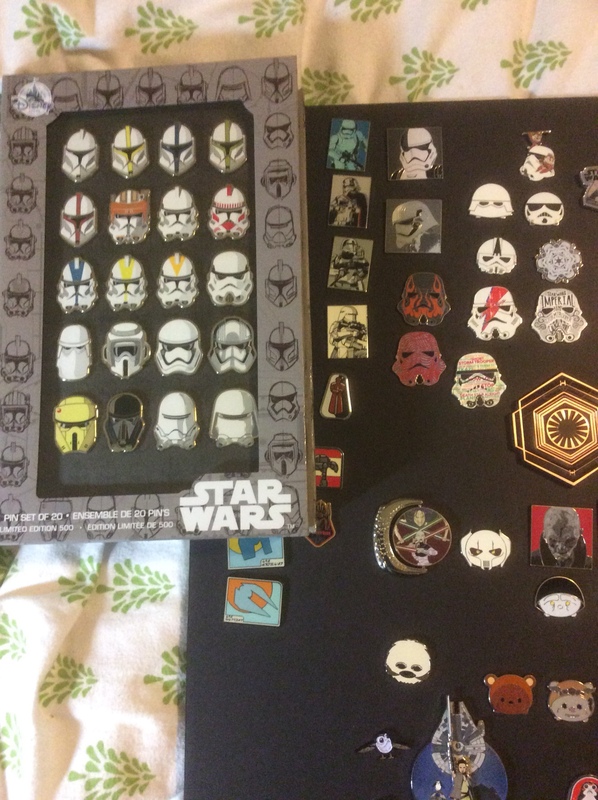 Very few of these pins are of actual characters as the Star Wars lore story lines go Troopers were "cloned" to be military fighters. Its not until the animated shows of Clone Wars and Rebels were clones were developed into characters to fill story lines. 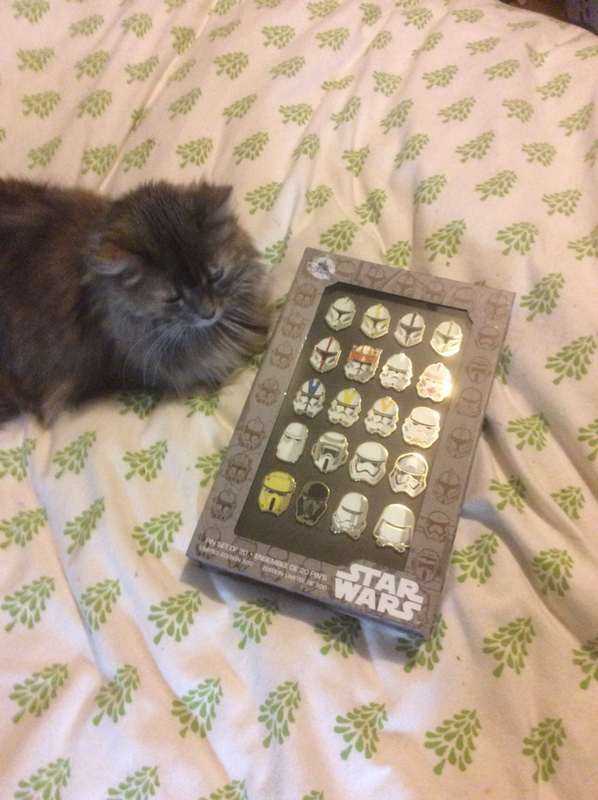 Many of the pins in this set are of Trooper types and variation represents the Phases of armor development during the years of the Empire (think episodes 1-6) and into the New Order (episodes 7 - TBD). I will try to reference the appearance of the trooper to give you an idea of the time frame of when the armor changed for the trooper. cyke23, timeerkat and Disneychildwithin like this. So there's a Cody but not a Rex? I am stating that it is Cody but there is no official listing from Disney that says it's Cody. It could be just considered another Attack Battalion Trooper buy Cody always appeared with the visor where other troopers did not . Rex has grey and blue design markings on his helmet but not full color blocks like the pins. I'm not sure if it has something to do with these characters being developed by The Cartoon Network or not. Ah, got it Thanks for the explanation! I haven't seen Clone Wars, which explains why I've never seen the majority of these. TheRetroNerd and TheMickeyMouseRules like this. And compared to other helmets. Thank you for this laugh. I needed that. I received my set today. I like it!